This tropical holiday is all about luxurious relaxation and warmth, whether you travel in winter or summer. 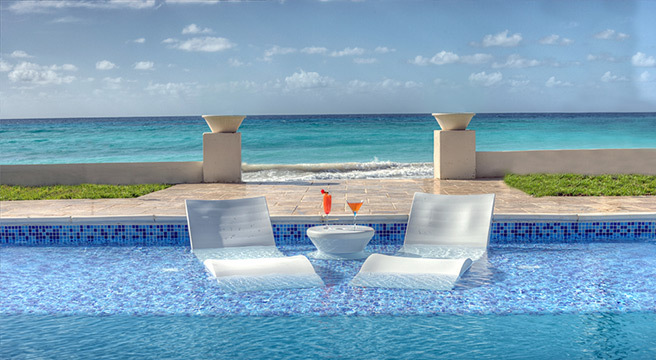 The All-inclusive package at this quality hotel delivers great value! 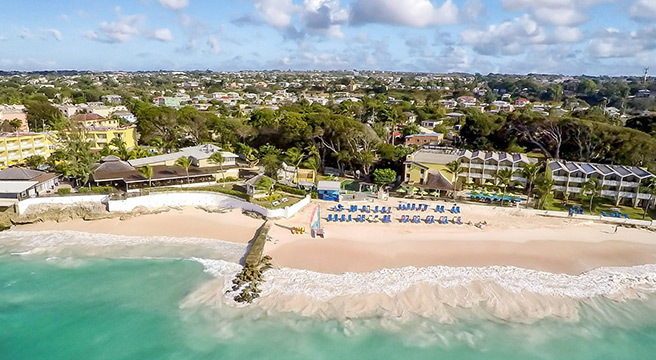 It may be 60 years since the first package holidays to the West Indies took off, but Barbados still holds the Caribbean Queen crown. Today this small island boasts big attractions: millionaire marinas, manicured golf courses and high-end restaurants. The smaller-scale experiences are unbeatable too: playing cricket on the beach, exploring plantation houses, sipping a cold beer under a palm tree or having a laugh with the locals in the fish market. Above all, there’s the island’s huge range of fabulous beaches, lapped by the Caribbean along one coast and pounded by the Atlantic on the other. 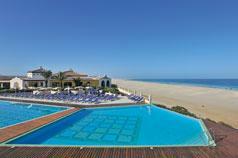 This is a real treat of a holiday, offering sun, sea, sand, cocktails and year-round temperatures of 29-31 degrees! Sea Breeze Beach House sits on three south coast acres. 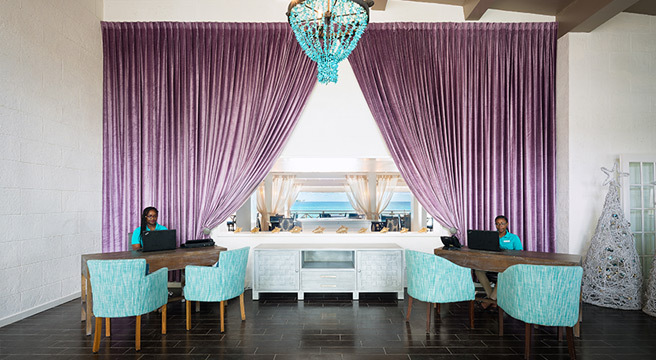 It was transformed in 2017 into a luxurious all-inclusive with Caribbean style and a contemporary twist. With 122 rooms and suites it is large enough to offer good facilities and small enough to feel like a boutique property. 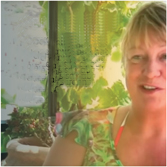 The staff are rightly praised for their positive attitude and friendly service. 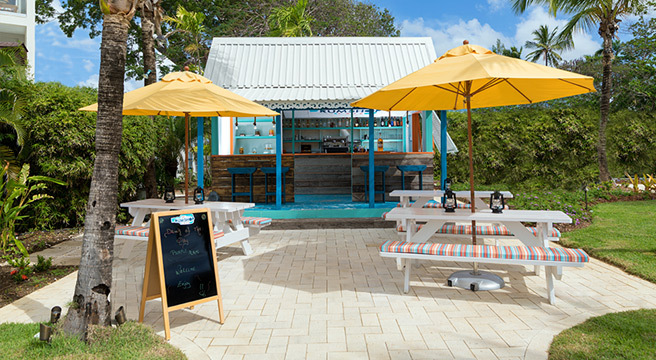 The hotel has an adult-only pool and Jacuzzis, while De Rum Shop café-bar and Aqua Terra bar also tend to attract adult guests. Sea Breeze Beach House has two lovely beaches of its own: palm-backed West Beach is small and quieter, while the larger Family Beach is where water-sports are organised. 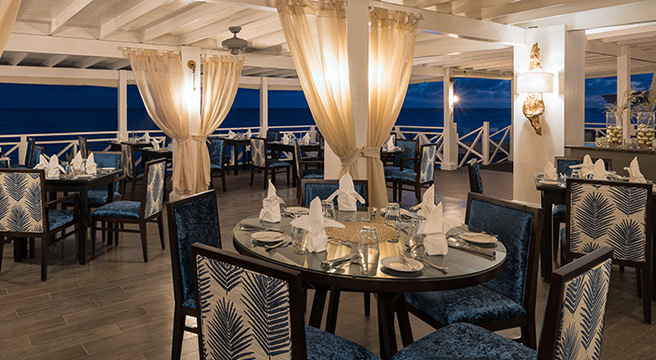 There are 6 casual and sophisticated dining options within the excellent All-inclusive plan, from a café-bar to the buffet restaurant. Cerulean has fine dining, and the Chef’s Tasting Room is also offered (in season) at a supplement. Breakfast and lunch are usually informal arrangements to reflect the fact that guests do their own thing during the day. In the evening, meet fellow guests and your Host for a drink in the bar, before our group sits down to dinner around one sociable table. Families do stay at the hotel, but they use the main swimming pool and larger beach. 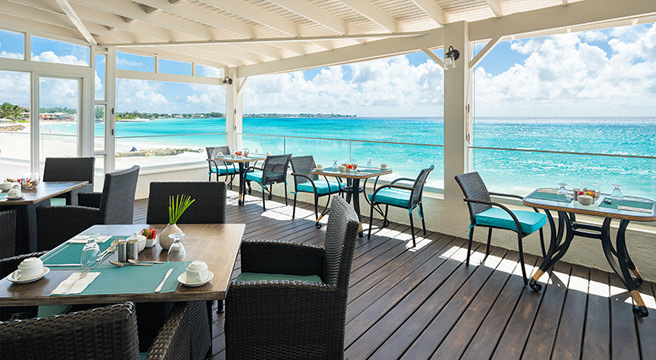 The Sea Breeze Beach House is on the south coast of Barbados, between Oistins and St Lawrence Gap. Oistins was just a fishing village before tourism took off, but today it is where the action is on a Friday night, when the music is loud and the street food is hot! The south coast has fantastic stretches of soft, coral sand with easy public access: our favourites are Welches, Maxwell and Dover. There are plenty of optional excursions to get you exploring the island, including a full day tour that takes in the dramatic east coast, a fabulous catamaran cruise with a chance to snorkel over a shipwreck, and even learning to make rum cocktails at Mount Gay distillery. Alternatively, use the local bus or taxi services to explore the South Coast, or hire a ‘mini moke’ car for a couple of days. 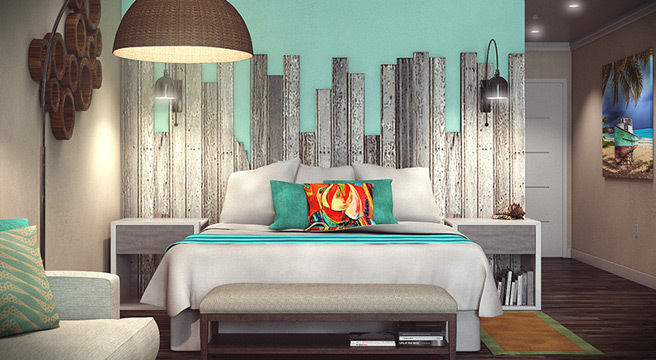 Sea Breeze Beach House rooms are decorated in a chic, neutral palette lifted by pops of Caribbean blue. 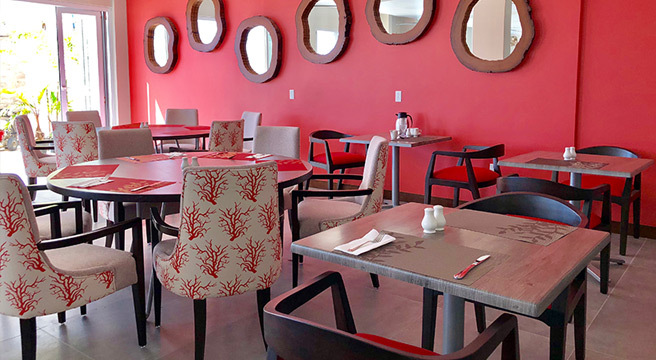 Our prices are based on Classic rooms for sole occupancy, with either a King or two Queen-sized beds and five-star features like the rainfall shower in the bathroom, free WiFi, a stocked minibar and an iPod dock. The Classic Rooms do not have slippers and bathrobes. Classic rooms are landward facing, with no specific view. 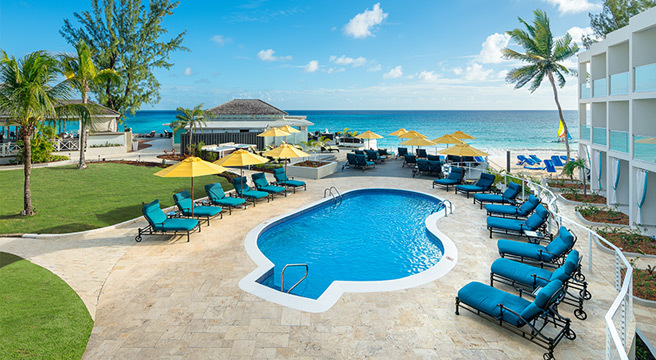 Pool View and Ocean View rooms also available at a supplement (or as an Early Booking Bonus). Pool View room supplement £26 per night in February; £8 per night other dates. Ocean View room supplement £54 per night in February; £32 per night other dates. We have some great early booking offers for Winter 2019-20 which are included in the advertised prices - Book before the 30 September. These * are not included in Classic Rooms. 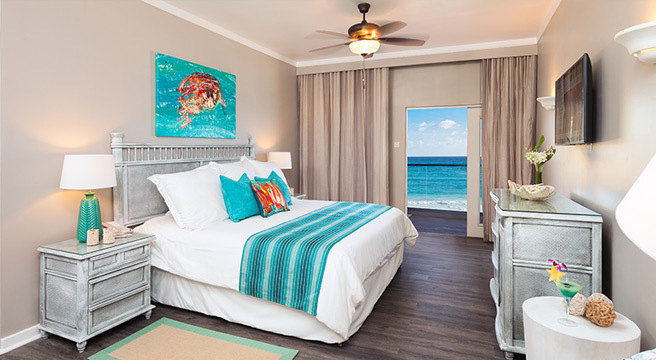 FREE ROOM UPGRADE TO NEXT ROOM CATEGORY - Book by 30 November 2018 for May and June 2019 departures, or by 31 March 2019 for September 2019 departure dates.